The spot follows a couple on their journey through the “Winter Moneyland” This is an outer-worldly place where everything is possible and every dream can come true. In this surreal fairytale, nothing is as it seems. Money makes the unexpected happen and small dreams become big dreams. 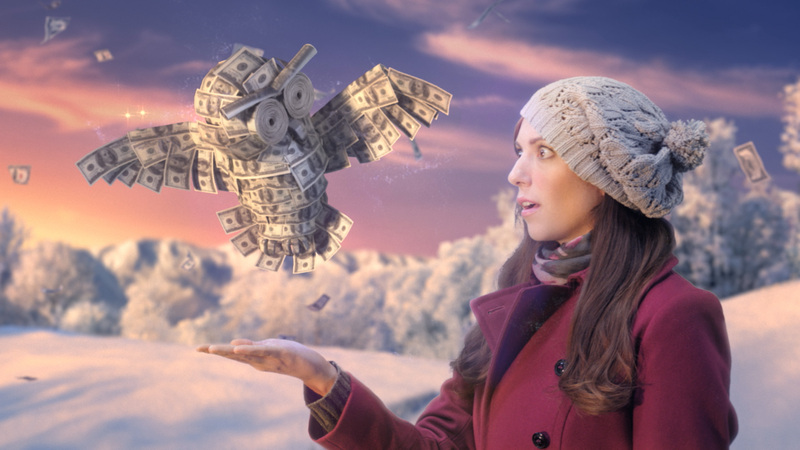 This whimsical dream world is built on dollar bills. Constantly in flux, the world is getting even more fantastic as our couple wanders through it.